What Is MLS (Multiple Listing Service)? The term MLS (Multiple Listing Service), is used commonly in today's real estate market, but the benefits to buyers and sellers may not be fully appreciated. In order to understand the benefits of a Multiple Listing Service, it is helpful to consider how they came into existence and how they function. Prior to the advent of the MLS concept, each real estate company had its own inventory of listings (properties) for sale. These "exclusive listings" were controlled by that company and other companies were not allowed to show or sell them without specific permission from the listing company. As a result, companies normally sold their own listings and did not have access to those of other companies. Before MLS, buyers were forced to work with several different companies in order to attempt to cover the entirerange of available properties. Now buyers benefit greatly because of the MLS system. It is no longer necessary for a buyer to work with many different companies or agents. Any sales person within the MLS has access to all of the properties listed. 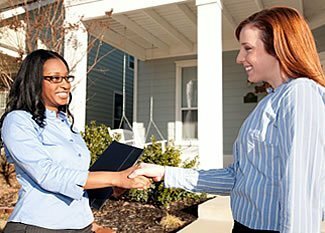 Consequently, a buyer can form a closer relationship with one trusted sales person and depend on that agent to provide full market coverage and service. Through the MLS, that sales person can provide information on all listed properties and show them to their customer. Before MLS, companies normally sold their own listing and did not give access to other companies. With the development of the MLS concept, real estate companies now agree to share their listings with other companies without the need to ask permission to show or sell. Any salesperson within the MLS has access to all of the properties in MLS. As a result, sellers benefit from wider exposure since all MLS companies and salespeople are able to show and sell their properties. Our MLS - Mid GA MLS, and Central Georgia MLS. Fickling & Company utilizes the Mid GA MLS, Central Georgia MLS, and Dublin MLS to ensure the best possible results for potential homebuyers. Search our current MLS property listings or contact us for more information.